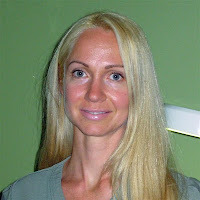 Daniela has been involved in the esthetic industry for over 17 years and a laser technician for over 13 years. She has owned and operated a salon/spa in the Vaughan area for 10 years, has trained Physicians/Dermatologists/Spa Owners and their staff on various laser treatments across Canada, and has taught at Seneca College in the Esthetics Program. For the last 17 years, Daniela has owned a boutique style Medi-Spa focusing on Laser Hair Removal, Spider Vein Treatment, Skin Pigmentation, Broken Capillaries, Electrolysis, Anti-Aging Laser Facials, and Non-Invasive Anti-Aging skin care. She uses the Apogee Elite Laser – which allows her to treat lighter skins with the Alexandrite and darker skins & vessels with the Nd: YAG laser. The laser is the best laser on the market today. “I sleep at night, knowing that I use only but the best technology and product on my clients”. Coupled with her experience, you can expect only exceptional results. When you are ready to learn more, book a complimentary consultation.